New York, NY (February 4, 2014) – The Wagner/Cuban Company's Magnolia Pictures announced today that they have acquired US theatrical, VOD and home entertainment rights to Life Itself, a documentary about the life of Roger Ebert directed by Oscar-nominated documentary filmmaker Steve James (Hoop Dreams, The Interrupters). A Kartemquin Films and Film Rites production in association with KatLei Productions, Life Itself premiered to critical acclaim at this year's Sundance Film Festival. Magnolia is eyeing a summer release, followed by an exclusive broadcast on CNN later this year, reprising a successful collaboration with CNN Films on the hit documentary Blackfish. 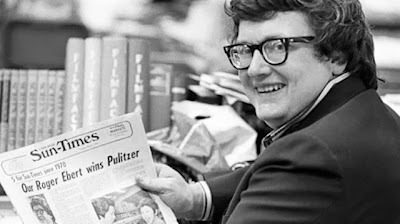 Roger Ebert was a beloved national figure and arguably our best-known and most influential movie critic, and his passing in 2013 was deeply felt across the country. Based on his memoir of the same name, Life Itself recounts his fascinating and flawed journey — from politicized school newspaperman, to Chicago Sun-Times movie critic, to Pulitzer Prize winner, to television household name, to the miracle of finding love at 50, and finally his "third act" as a major voice on the Internet when he could no longer physically speak. "Roger Ebert gets the tribute he deserves with Life Itself," said Magnolia President Eamonn Bowles. "Steve James has done a beautiful job capturing Rogers complexity and energy in a loving but wonderfully clear-eyed portrait." "Magnolia is the perfect partner for bringing this film on such a seminal figure in film to the big screen," said Steve James. "Roger's story deserves it."